Abstract: Aim of study: Aim of this study is to define an entity of unruptured symptomatic AAA, to examine the influence of timing of the surgical treatment and to analyze the results of the treatment of unruptured symptomatic AAA in acute expansion. 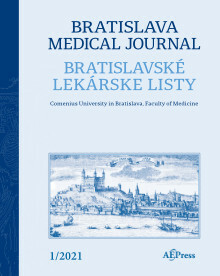 Materials and method: The study is designed as retrospective analysis of 390 operatively treated patients in the last five years at the Clinics of Vascular Surgery in Novi Sad. All patients were grouped into four categories: elective operative surgical treatment, surgical treatment 24 hours after the admission through the Department of Urgent Surgery with an urgent CT diagnosis (in first 2 hours), surgical treatment within 24 hours since the admission through the Department of Urgent Surgery with an urgent CT diagnosis (in first 2 hours) and immediate surgical treatment of ruptured AAA. Results: In the period from Jan 1, 2005 to Dec 31, 2009, 390 patients with AAA were operatively treated. 89 patients had ruptured AAA, 52 were operated 24 hours after the urgent admission, 18 patients were operated in the first 24 hours after the urgent admission and 231 patients were planned for elective surgery. Mortality rates between the groups were asfollows: elective surgery-5.1 %, patients operated 24 hours after the urgent admission 7.2 %, patients operated in the first 24 hours after the urgent admission 23 %, and patients who had ruptured AAA 34 %. Conclusion: Considering the obtained data, it can be concluded that the treatment of unruptured symptomatic AAA is related to a higher risk of postoperative mortality in relation to an elective surgery. Moreover, surgical treatment in the first 24 hours after the urgent admission of unruptured symptomatic AAA has higher rate of mortality and morbidity compared to surgical treatment 24 hours after the urgent admission of the patients, so we can conclude that the early (semi) elective surgery is a method of choice for the treatment of unruptured symptomatic AAA in acute expansion (Tab. 2, Fig. 2, Ref. 21). Keywords: abdominal aortic aneurysm, rupture, risk factors, surgical treatment.